Have you ever found yourself absentmindedly on Facebook, looking through photos of you and your family? Or even breaking out the old photo albums to refresh your memories of times past? It can be a lot of fun, but it can also bring something into sharp relief: you’re getting older. Since we look in the mirror every single morning, we don’t really get an opportunity to see ourselves age. It happens so slowly that we barely even notice. But when we go back and take a look at photos from years gone by, boy, that’s when we can see it. It’s even worse around the holidays, especially when everyone has a smartphone. Literally dozens, if not hundreds, of photos are going to be taken and posted on Facebook and Instagram, and you’re going to be in many of them. You’re going to want to look your best in these photos. Heck, in a perfect world you might even want to look younger than you did in last year’s photos! Is this possible? Absolutely, with these four quick beauty fixes that you can get done in time for the holidays! Unlike cosmetic surgical procedures, none of these fixes have an associated recovery time. This makes them perfect for a quick beauty touch-up before the holidays. And even better, you can book them all at the same time, so you will only have to take a few hours out of your busy holiday schedule! Trust us, there are going to be a lot of people getting a HydraFacialMD before the holidays this year! It’s one of the most effective and technologically advanced facials on the market today, being a favorite of Hollywood celebrities looking for a quick beauty fix before they walk the red carpet. 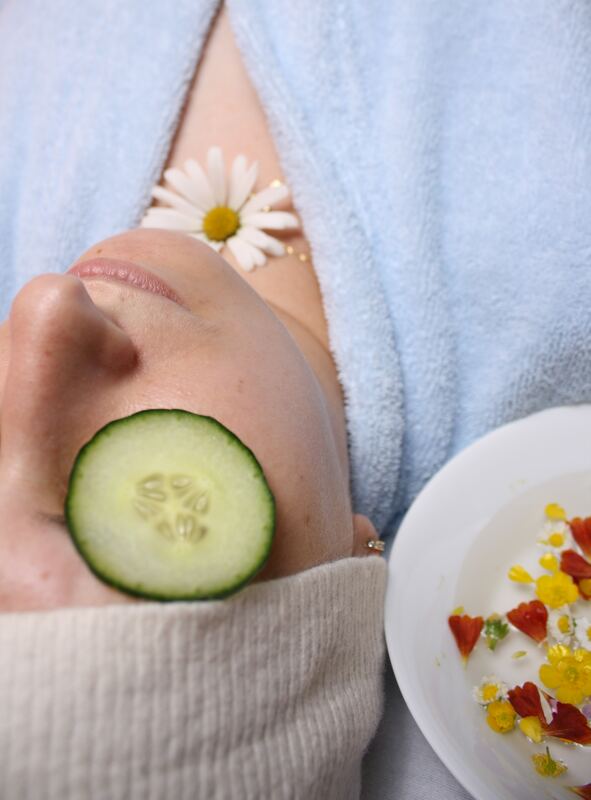 This facial has four parts: cleaning and exfoliation, an acid peel, extractions, and hydration. First, we exfoliate, getting rid of any dead cells on the surface of the skin. Then we go a little deeper, giving you a mild acid peel to loosen dirt and debris. After that, it’s extraction time, where we use a special vacuum tool to draw impurities out from the skin. Finally, we hydrate, using a number of serums that include antioxidants and hyaluronic acid. The entire treatment only takes about 15 minutes to a half-hour. You will walk out of Azul with a healthy, beautiful glow that will hang around throughout the whole holiday season! Although a surgical face and neck left are the gold standard of facial rejuvenation, you definitely don’t have time to get these procedures before the holiday season begins. So why not try Azul’s Liquid Facelift? The Liquid Facelift is a combination of two of our most popular non-surgical procedures: Botox and dermal fillers. With Botox, we inject a tiny amount of a neurotoxin into the tiny twitch muscles under your skin. Once these muscles stop flexing the skin above will relax and wrinkles will start to fade. With dermal fillers, we use a naturally occurring substance to fill out areas of the face where you have lost volume and fat due to age, like filling in the hollows under your eyes. There is no recovery time from either of these treatments; you might experience some minor bruising around the injection sites for a day or two, but that’s it. The thing about Botox and dermal fillers is, although the results you can get are remarkable, they are also temporary and require touch-up treatments every few months. But that’s not a problem for the holidays! If you get a treatment at the beginning of December, you will look absolutely fabulous in your holiday photos! The Silhouette InstaLift is one of our newest non-surgical procedures here at Azul, and it’s quickly become one of our most popular. If your face requires a bit more of a lift than our Liquid Facelift can provide, you can achieve wonderful results with the Silhouette InstaLift. Here, we lift your skin with resorbable suspension sutures with bi-directional cones. These sutures reposition the underlying tissue of the skin while the cones hold it in an elevated position. As the cones are resorbable by your body, they are replaced by natural collagen, holding your lift in place with natural-looking results. Just like all of the other procedures here, the Silhouette InstaLift doesn’t require a recovery period. You can return to your usual schedule as soon as you feel comfortable! Check out our website for a great animation that demonstrates exactly how the InstaLift sutures are placed, how they lift sagging tissues, and how they hold those tissues in place until the suture is reabsorbed and the collagen forms (Silhouette InstaLift™ Fort Myers | Skin Tightening Naples FL). You know what would really make your holiday photos memorable this year? Getting a tattoo! But we aren’t talking about a “Mom” tattoo on the arm; we’re talking about microblading! Microblading is a highly specialized form of permanent makeup. If your eyebrows have lost definition and become thinner, we can restore their appearance with the microblading procedure. It will eliminate the need to pencil on your eyebrows every day. Plus, the results will look much more natural. Microblading is part cosmetic technique, part art form. We use a special hand tool with color pigments to etch tiny hair-like strokes under the surface of the skin. This will replicate the appearance of the individual hairs that make up your eyebrows. Unlike some of the other procedures on this list, microblading does require a bit of a recovery period, just like getting a regular tattoo. The skin will be red and tender immediately following the procedure, although we can manage any discomfort with a topical anesthetic cream. As the skin starts to heal, you can expect your eyebrows to appear slightly darker than desired for the first seven to 14 days following treatment. This is because the pigment is made darker by the redness of your healing skin. Once your skin heals, you will have incredibly natural-looking results! If you want to be ready for the holiday season, best to book a microblading appointment as soon as possible! And there you have it! Four quick and easy beauty fixes that will ensure that this year’s holiday photos will feature you looking more youthful than ever! It’s important to remember that, unlike surgery, none of these treatments are permanent. But some, like InstaLift can last up to two years and maybe even longer. These are only a few of the non-surgical cosmetic procedures that we offer here at Azul. We also offer surgical cosmetic procedures and skincare solutions in our Medical Spa. To figure out what might work best for you, we recommend you book a free consultation with Dr. Flaharty, one of our Estheticians, Nurse Practitioners or our PA – just call us at (239) 415-7576. If you would like more information about all of the procedures that we offer, along with tons of helpful advice about cosmetic surgery, you can visit our website at www.azulbeauty.com. We hope that you have a wonderful holiday with friends and family this December!